Groups are a small version of a course and used as a collaborative tool where students can work together on group projects and assignments. Instructors can create groups for students to collaborate on group assignments, pages, collaborations, and more. Instructors can also allow students to create their own groups. When Should I Use Groups as an Instructor? 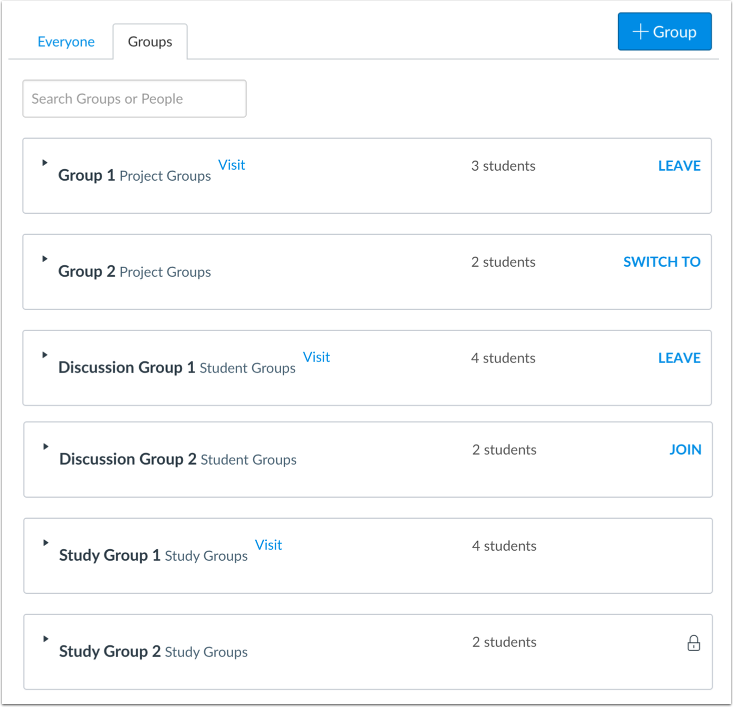 Students can use groups as a collaborative tool to work with classmates on group projects and assignments. When Should I Use Groups as a Student? Previous Topic:What are What-If Grades? Table of Contents > Canvas Features > What are Groups?